DEBORAH BROWN COMMUNITY SCHOOL ranks among the top elementary schools in the State of Oklahoma. 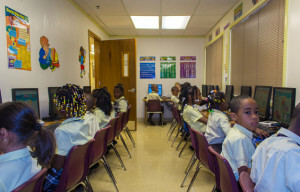 DBCS consistently scored high on Academic Performance Indicator (API) and Adequate Yearly Progress (AYP) reports according to the State Department of Education. As a result of this performance, we recently received the states’ Academic Achievement Award (AAA) that honors schools, administrators and teachers. DBCS has been an outstanding performer in Tulsa Public Schools District and the State of Oklahoma.